"Rip-roaring space opera with a side of magic mushrooms! Fans of Firefly will love Killing Gravity." —Will McIntosh, Hugo Award-winning author of Love Minus Eighty. 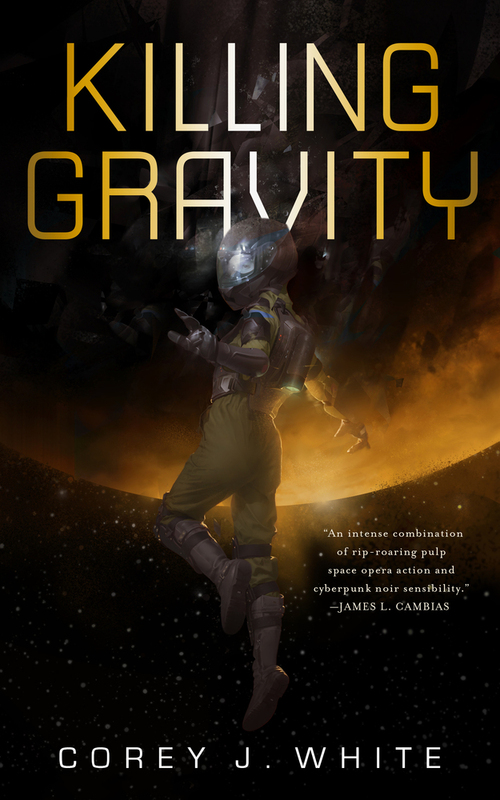 "Killing Gravity, by Corey J. White, is an intense combination of rip-roaring pulp space opera action and cyberpunk noir sensibility." —James L. Cambias, Nebula Award-nominated author of Corsair. COREY J. WHITE is a writer of science-fiction, horror, and other, harder to define stories. He studied writing at Griffith University on the Gold Coast, and is now based in Melbourne, Australia. Killing Gravity is his first book. Find him at coreyjwhite.com, or on twitter at @cjwhite.